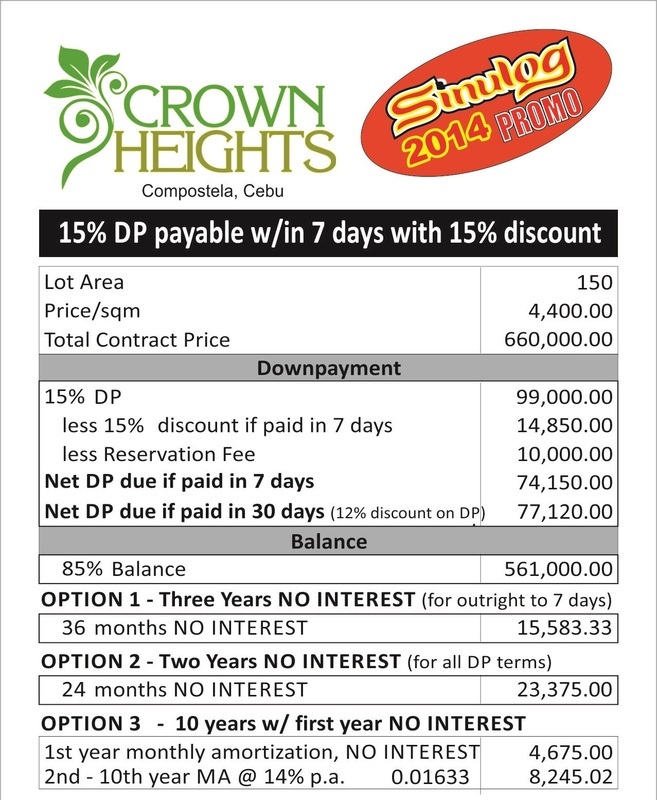 CROWN HEIGHTS subdivision is atop the pristine highlands of Compostela, Cebu. Blessed with a wide expanse of greens around, it offers a selection of lots with a flat or hilly terrain. Imagine a 360-degree landscape view of majestic hills & mountains as well as a breathtaking view of the Camotes Sea right at your backyard. Imagine having the best of both worlds, living in a simple, safe and refreshing country community soon to be part of the exciting urban Metro Cebu. Also enjoy many activities such as swimming, basketball and hanging out in the play area provided by the Crown Heights clubhouse. Please mention "CROWN HEIGHTS" with your comment in the comment box when you have inquiry.